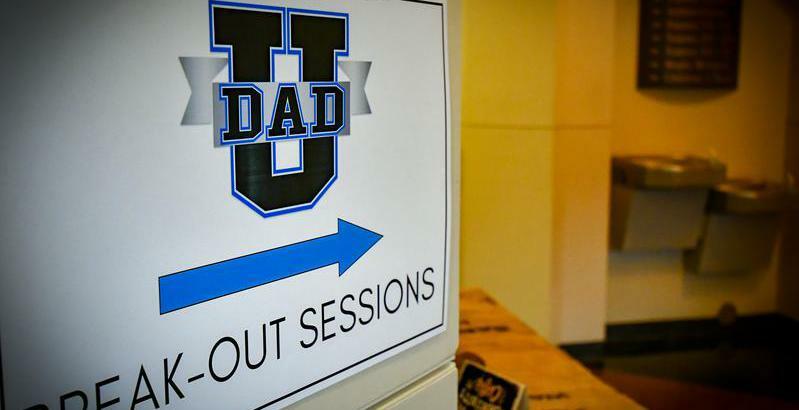 Suit Up Ministries - DADS.Beyond Humility, Trust & Obey! DADS.Beyond Humility, Trust & Obey! I love that. I'm a goal setter…and I love to encourage others to follow their thirst…their passion! But what if what you thirst for is not what God wants you to do? Are you willing to obey and move to what God is calling you too? For me its a struggle. Its ok to struggle as long as God is in the conversation. What’s wrong? What is it? Well I will tell them. Signal goes out…MOVE starboard 20 degrees…at once! Signal returns…move starboard 20 degrees yourself at once! Doesn’t he realize we are a battleship and that we could just blow them out of the water? and I see God as the lighthouse…The great NAVIGATOR! The GREATEST NAVIGATOR! So often we want God the creator of all things to move! Like the captain…after all its all about us…right? What is one thing that you just have a hard time obeying? police…we complain until we need one! seat belts…an inconvenience but always the first question we ask after an accident…”Were they wearing a seat belt?" rules of the road…What if we had no stop signs or traffic lights? justice system…Who would we call to file a complaint? laws…Too many...but we dig deep to find the law that was broken against us! government…Too big...But what would happen without it? DADS…when I have found myself the furthest from God is when I know I am in the wrong and NOT living a life God wants me to…in other words NOT in Christ…not being obedient. When I am in prayer. Reading scripture daily. Coming to church every time the are doors open…life is good. When I am not doing these things…the distance between me and God is wide. Who is moving away when that is happening? Not God. He NEVER waivers…but He Waits for us! Steps towards HOPE in Christ…Humility…Obedience…Prayer…Eternal. These are not politically correct actions. Not always seen favorable by the world. Jesus always did the Father’s will, even when it was painful, like when He expressed in the Garden of Gethsemane the desire to have this cup pass from Him, but Jesus said, “Nevertheless, not my will, but yours, be done” (Luke 22:42). Jesus knew that “he who sent me is with me. He has not left me alone, for I always do the things that are pleasing to him” (John 8:29). In fact, Jesus said “My food is to do the will of him who sent me and to accomplish his work” (John 4:24), and “even the Son of Man came not to be served but to serve, and to give his life as a ransom for many” (Mark 10:45). The Apostle Paul wrote to the church at Philippi to “Have this mind among yourselves, which is yours in Christ Jesus, who, though he was in the form of God, did not count equality with God a thing to be grasped, but emptied himself, by taking the form of a servant, being born in the likeness of men” (Phil 2:5-7), and so Jesus “humbled himself by becoming obedient to the point of death, even death on a cross” (Phil 2:8). Who could be any more humble than Jesus Who washed his disciple’s feet, including that of His betrayer, Judas? When God called Abraham in Genesis chapter 12, we see absolutely no hesitation on his part to obey God. It says “the Lord said to Abram, “Go from your country and your kindred and your father’s house to the land that I will show you. And I will make of you a great nation, and I will bless you and make your name great, so that you will be a blessing” (Gen 12:1-2). Imagine this: Abram (later called Abraham) was to leave his family, his friends, his occupation, his home, and his worshiping of false gods to go to a land that he’d never seen before and called by a God who he had never known about before , but we see no hesitation in Abraham at all. He didn’t stop to think about it, stop to count the cost, or ask God, “Why.” It simply said, “So Abram went, as the Lord had told him” (Gen 12:4). How many of us would have dropped everything and left it all behind to go to a strange land and being called by a God that was unknown to him? Abraham also went to the most extreme ends possible in proving that he would obey when God asked him to sacrifice his only son of promise, Isaac. That is the best example of obedience that there is in the Bible, next to Christ’s. I think you’ll be hard pressed to find a greater example of obedience than in Mary, the mother of Jesus. When she discovered that she would bear the Son of God, and as yet being a virgin, she could hardly believe it. It started “In the sixth month the angel Gabriel was sent from God to a city of Galilee named Nazareth, to a virgin betrothed to a man whose name was Joseph, of the house of David. And the virgin’s name was Mary” (Luke 1:26-27), but “she was greatly troubled at the saying, and tried to discern what sort of greeting this might be. And the angel said to her, “Do not be afraid, Mary, for you have found favor with God” (Luke 1:29-30). Gabriel told Mary, “you will conceive in your womb and bear a son, and you shall call his name Jesus. He will be great and will be called the Son of the Most High. And the Lord God will give to him the throne of his father David” (Luke 1:31-32). What was Mary’s reaction? Did she hesitate to believe it? Was she perplexed because she was still a virgin? All Mary said was “Behold, I am the servant of the Lord; let it be to me according to your word.” And the angel departed from her” (Luke 1:38). Mary never wavered in unbelief, but simply told Gabriel, “let it be to me according to your word.” She understood that she was a “servant of the Lord” and that made her joyful enough to give her “Magnificat” in Luke 1:46-55. Below are the lyrics. There is nothing like an old hymn to “bring home" the message. Obey your thirst…just make sure DADs that your thirst is in the “right” things! BE THE DAD!